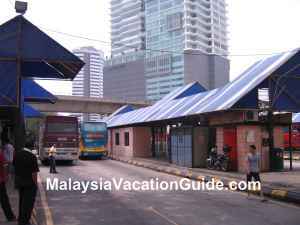 Hentian Pekeliling is over 20 years old and is basically a simple bus station where you can go to the major towns of Pahang. One or two companies also go to Kuala Terengganu, Genting Highlands and Gua Musang. 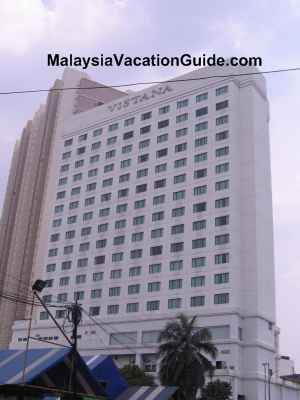 It is located at Jalan Pekeliling Lama and just beside Vistana Hotel. Getting here is easy as it is within walking distance from Titiwangsa Ampang Line LRT and Titiwangsa monorail station. This terminal really needs some upgrading to keep abreast with the changing times. The waiting halls have no air-conditioned, only fans are provided. In a hot day, you will sweat while waiting for the bus. Fortunately, all the buses are fully air-conditioned. There is a taxi stand here for you to have the option of going to various parts of the city without having to wait for another bus. Rapid KL buses are also available for you to go to your next transit. 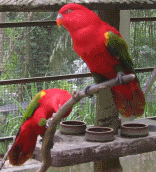 Of particular interest is Jerantut as this town is the gateway to Taman Negara. Those who are taking a boat from Kuala Tembeling will take a bus from Jerantut to Kuala Tembeling jetty before taking the 3 hours boat ride to Taman Negara. 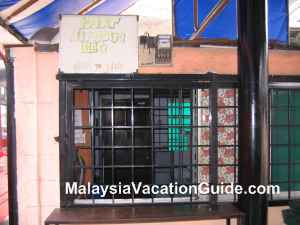 If you prefer not to take the scenic boat ride, you can take a bus from Jerantut directly to Kuala Tahan where the base of the National Park is. Genting Highlands buses are also available here. The cost of the ticket is RM6.60 one-way. Some of the ticketing counters. Mara Liner goes to Kuantan (RM21.80/adult), Sungai Koyan (RM14.00/adult), Raub (RM9.60/adult) and Bentong (RM5.60/adult). Website information at www.maraliner.com.my. Konsortium Bas Ekspres Semenanjung goes to Kuantan (RM22.00/adult) and Kuala Terengganu (RM39.00/adult). Website information at www.kbes.com.my. Omnibus goes to Triang (RM14.10/adult), Kerayong (RM13.70/adult), Temerloh (RM11.30/adult), Mentakab (RM10.40/adult) and Karak (RM6.60/adult). Pahang Lin Siong Motor goes to Kuala Lipis (RM14.00/adult) and Raub (RM9.00/adult). Metrobus Ekspres goes to Temerloh (RM11.30/adult), B.P. Jengka (RM15.60/adult), Mentakab (RM10.50/adult) and Jerantut (RM16.80/adult). Plusliner Nice goes to Kuantan (RM22.00/adult), Kerteh (RM33.00/adult) and Dungun (RM33.00/adult). Website information at www.plusliner.com. Once you have purchased your ticket, enquire which bus platform number and bus to board the bus. There are fan waiting area just beside the bus platforms for you to wait for the bus. Could be quite hot and stuffy during the day. Vistana Hotel is located just beside the terminal. If you intend to store your luggages here for a few days, there is a simple small sized room with racks that are used to place the luggages. It is not air-conditioned and the price is RM3/day for a small bag and RM5/day for a bigger bag. It is opened from 8:00am to 8:00pm. It is advisable not to put any valuables in your bags for security reason. Take the Ampang Line LRT and get off at Titiwangsa Station. The other way is to use the monorail and alight at Titiwangsa Station.